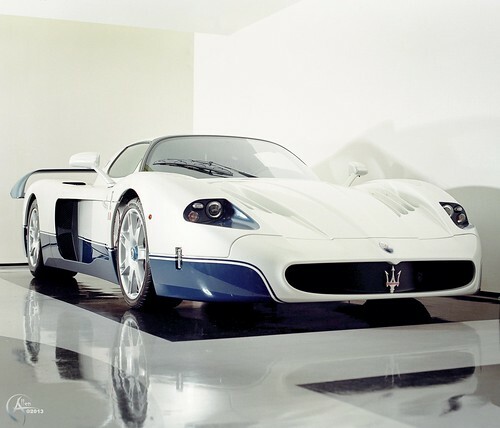 In 2004 Maserati created one of the most visually stunning Supercars, the MC12. The MC12 was based on the Enzo Ferrari platform and was heavily used in FIA and GT racing. It achieved 40 wins with the help of the worlds top drivers. 50 "street legal" MC12's were created but only 49 released publicly; that said as I photographed this holy grail of Maserati craftsmanship, not 3ft away was a second MC12 in the collection. For me the MC12 is one of my top five favorite Supercars, I was very excited to spend some quality time with one.